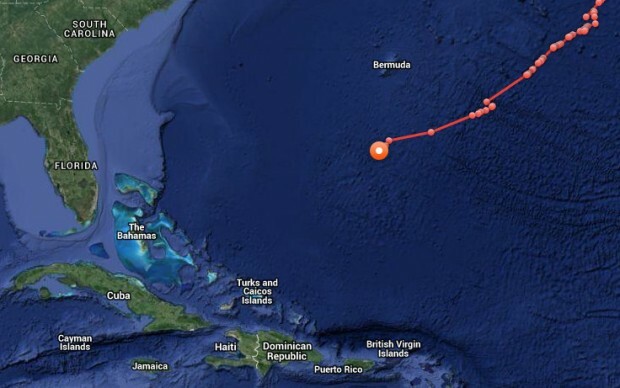 [Updated] A 2000lb 14ft 6in great white shark named “Lydia” is making her way past the south of Bermuda today [March 1], according to ocean research group OCEARCH. Lydia is no stranger to Bermuda’s waters, having passed by our general vicinity a few times before, however this time happens to coincide with her 2 year tagging anniversary. 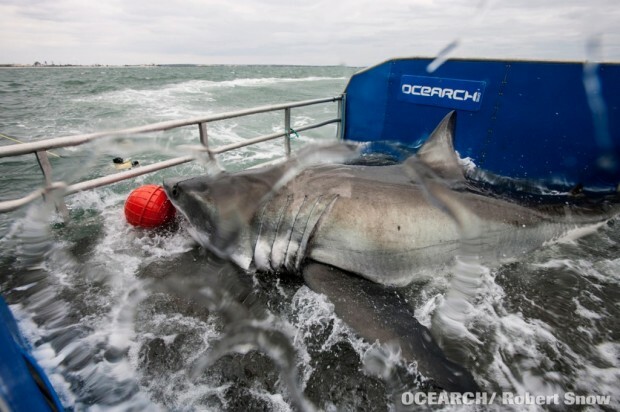 On March 03, 2013, Lydia was tagged near Jacksonville, Florida, and since that time she has been tracked some 34,238 miles, and the adventures of the 2000lb shark have been notable, with her arrival in the UK last year making Lydia the first great white ever recorded to cross the Atlantic Ocean. 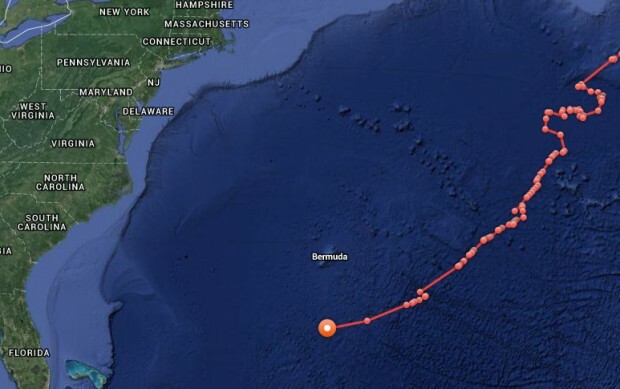 “Researchers had suspected great whites could make such a journey, but none had previously been documented doing so,” the National Geographic reported following Lydia’s transatlantic journey. Update March 2nd, 5.30am: It appears Lydia may not be planning to actually visit us, as according to the tracker in the last 24 hours she headed away from the island in a southerly direction. Her most recent position, as per OCEARCH tracking, is below. No, it’s not off Bermuda. The photo wasn’t dated, but we think that’s from when she was tagged in 2013! Seems like shes pissed off about the budget too. 2000lb shark vs 2000 lionfish, I think even the sharks intimidated. 2000lb shark swimming so close to Bermuda I need to compile a list of those responsible hmmm lets see…. Dagnabit just choose one we do it everyday all day anyways…….heh heh just a little man in the mirror for all of us living,breathing and surviving together day in and day out on this precious rock. Seriously , I shall go to the Reefs and see for meself ! She aink d only monster size shark swimming around the globe !! She seems to frequently pass back and fourth it’s amazing how they can swim worldwide. we can track a shark but we can’t find a plane??? ?